Ike's has a huge variety of vegan sandwiches/subs. They're a great vegan-friendly find in Redwood City. Fun fact: their Meatless Mike's won PETA's "best meatball sandwich" award! Do make sure to specify you're vegan, because they have a lacto-vegetarian version as well. Note: their wholewheat bread option is not vegan. The rest of the bread choices are vegan! 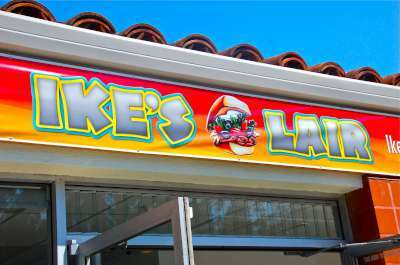 Let us know what you think about this awesome vegan friendly restaurant: Ike’s Lair of Redwood City in Redwood City, California.